Board certified wound specialists treating all types of lower extremity ulcers - diabetic, venous, pressure, traumatic, and arterial ulcers. Diabetes can affect the feet, ankles, and legs in many different ways, causing pain, numbness and a variety of other symptoms. Discolored, thickened and brittle toenails are just one of the complications of toenail fungus. Your feet are just as vulnerable to skin problems as the rest of your body. We treat a variety of skin & nail conditions. 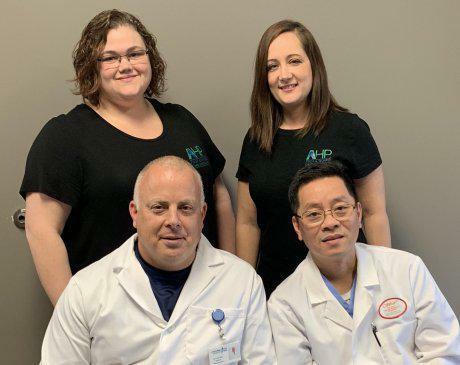 Dr. Todd Mann, Dr. An Tran and Autumn Montgomery, FNP-C provide quality, compassionate podiatry care in private homes and at their office in Indianapolis. While they offer a wide variety of podiatry care, the primary focus of their practice is diabetic foot care and lower extremity wound care. Their mobile podiatry services also provide care to assisted and independent living facilities, long-term care facilities, and patients who have a hard time getting to the doctor’s office. Their practice operates under the belief that patients deserve access to high-quality care, regardless of age, income, or place of residence. Their in-office services were added as a way to assist those who need podiatry care and can easily travel to an office location. The providers and staff of AHP Foot & Wound Care believe in a patient-centered approach that gives you the time and attention you deserve from a physician. We are participating providers for Medicare and Medicaid. We also accept many other insurance plans. 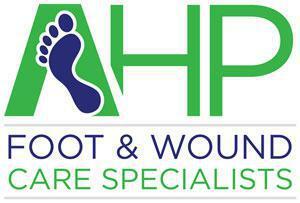 All insurance claims will be submitted to the appropriate carrier by At Home Podiatry, LLC. * We are not in-network providers for Blue Cross/Blue Shield and those patients with an HMO insurance plan must obtain prior authorization through the primary care provider. We file directly with all insurance companies but for insurance plans not listed we may be out of network. We are happy to answer any questions, but we always recommend you contact your insurance company for information regarding coverage for your policy. If you have any insurance questions, contact us. Phone: (317) 218-4095.